Take an inside look at Thanksgiving distribution at The Food Bank at St. Mary's. A volunteer captures all the food bank goes through to ensure that guests receive nutritious foods for the holidays. See the original post here at the Dan V World blog. 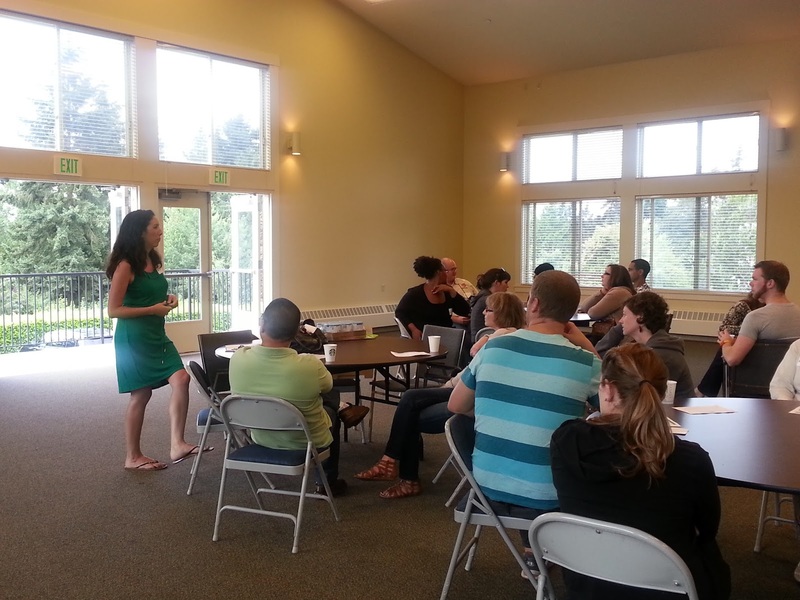 The 2013 Seattle Food Committee Van Tour on Monday, August 12 was attended by over 40 people, with participants from food banks, meal programs, and food distribution sites! This annual event serves as an opportunity for meal programs and food banks to come together, network, and get a behind-the-scenes look at a few emergency food programs in Seattle. All meal programs and food banks have their own way of operating under their unique circumstances, whether it be small spaces, language barriers, no parking, or little storage space. The Van Tour allows participants to observe these operations and pick up best practices that may just help the whole system run a little better. This year's tour started at the Hunger Intervention Program (HIP). HIP serves approximately 7,000 meals during the year. 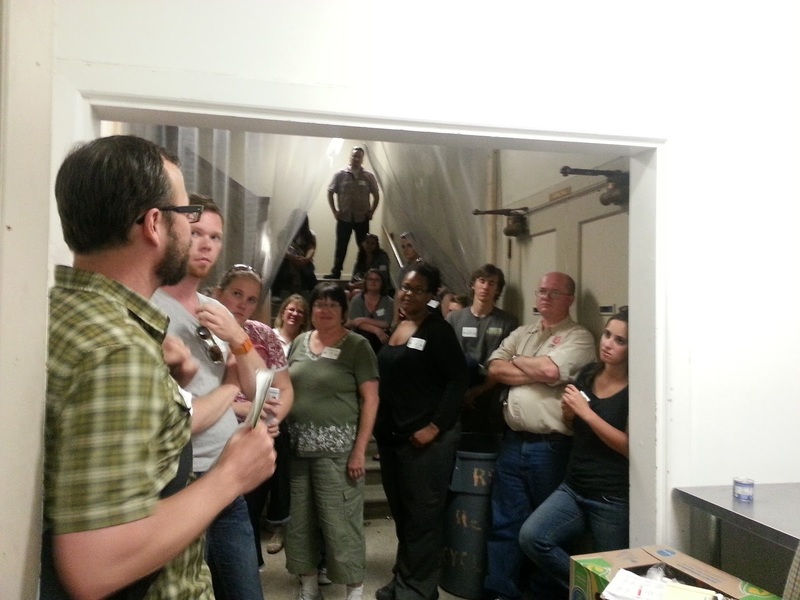 The program has only one full-time staff member and one AmeriCorps member. With the help of dedicated volunteers, approximately 60 each month, HIP teaches nutrition education, serves Healthy HIP Packs to three schools, and operates a meal program. They eventually hope to double their HIP Packs program, which delivers weekend meals to students at school. Fundraising has become focus for HIP, as they have few income sources. HIP receives grants for its backpack program, but it also relies on individual donors for other income. 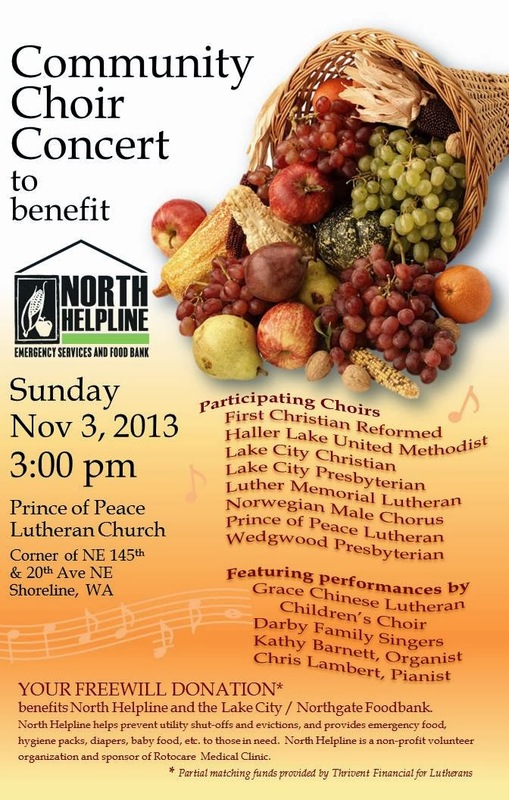 Most of the food for its programs come from Food Lifeline, Northwest Harvest, and individual food drives. By focusing more attention to fundraising, Kate hopes to expand HIP's programs and provide an additional layer of stability for the organization. 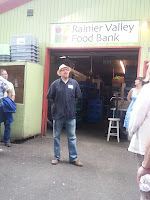 The Rainier Valley Food Bank was the site of our second stop. This incredibly busy food bank serves about 13,000 people a month and has tripled its annual budget since 2008. 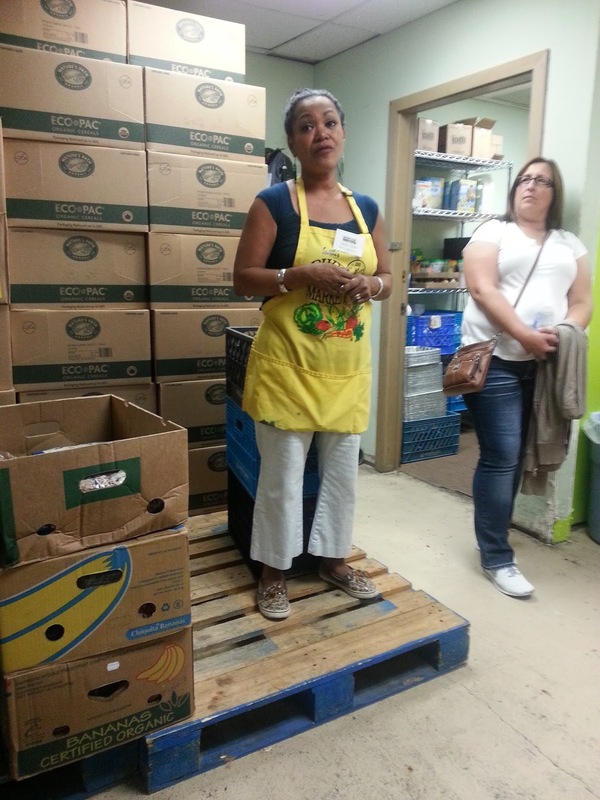 The food bank has been open for 22 years and has outgrown its current space. Without a proper driveway for deliveries, drivers must park on Rainier Avenue and then move pallets into the food bank. These deliveries also happen on distribution days, which adds to an already hectic situation. A new space, built to serve a food bank, would hopefully make life easier for food bank staff, delivery drivers, and clients. 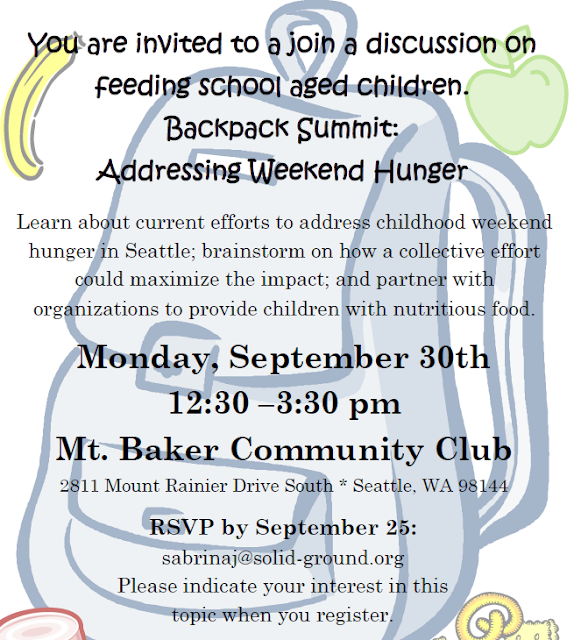 The Rainier Valley Food Bank recently started using Salesforce, a CRM that allows them to better track clients, volunteers, and donations. Client cards given out during a client's first visit help volunteers to quickly check in guests. Clients keep this card and present it when they arrive at the food bank. Volunteers are able to quickly look up the client, document their visit, and provide them with a sticker to let other volunteers know the quantity of items to provide them with. Even with this well honed system, volunteers are trained in communication styles to de-escalate chaotic situations that may arise during distribution. 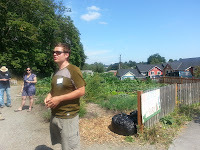 The Seattle Community Farm is a program of Lettuce Link within Solid Ground. Farmer Scott, the only staff member at the farm, showed participants around after they enjoyed a delicious lunch in the sun. 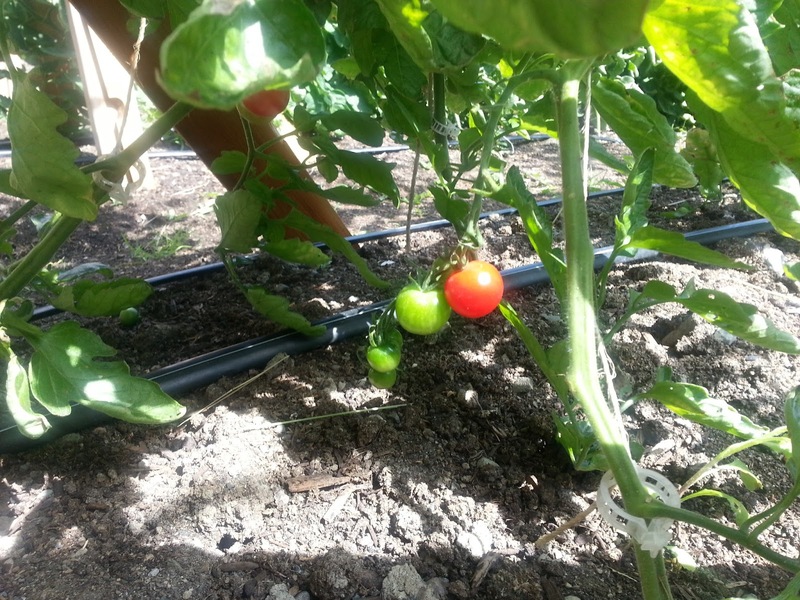 The all-organic farm produced over 9,500 pounds of food last year, which was triple what it produced during its first year growing season. The produce grown at the farm is based on the needs and wants of food bank clients and includes tasty treats such as beets, carrots, squash, tomatoes, and beans. Almost all of the produce grown at the Seattle Community Farm goes to the Rainier Valley Food Bank. Food bank clients are able to receive healthy, organic produce that wouldn't otherwise make it into their kitchens. The farm and food bank believe that everyone should be able to eat healthy, pesticide-free food, not just the wealthy. The produce from the farm also goes to some work-trade volunteers. Volunteers offer their time to help maintain the farm and harvest, and in return they are able to take home a giant bag of fresh produce. This mutual beneficial relationship allows the farm to operate at a low-cost, provides learning volunteer opportunities, and allows volunteers to enjoy the fruit (vegetables) of their labor! After visiting the Seattle Community Farm, the van took the group to the Seattle Indian Center (SIC). SIC is the First American Indian/Alaska Native Human Services Agency in King County and offers an array of human services. 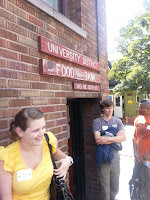 During our visit we saw the food bank, the kitchen that prepares community meals, and their men's hostel. It was amazing to see their space and hear how the programs make it work. SIC's Community Meal program serves over 200 meals a day. They serve both breakfast and lunch. Meals are made from scratch and Chef Edwin aims to serve clients only healthy, fresh food. Their food bank, which is open Tuesday and Thursday, has no restrictions on who they serve. They work diligently to serve clients culturally relevant food such as tofu, and try to always have a protein item on the line. One challenge the food bank has is limited funds to purchase items such as tofu or protein, as these items are hard to get donated. However, the food bank makes do with what they have and serve everyone. Sometimes they even run out of food. Our last stop on the Van Tour was the University District Food Bank. 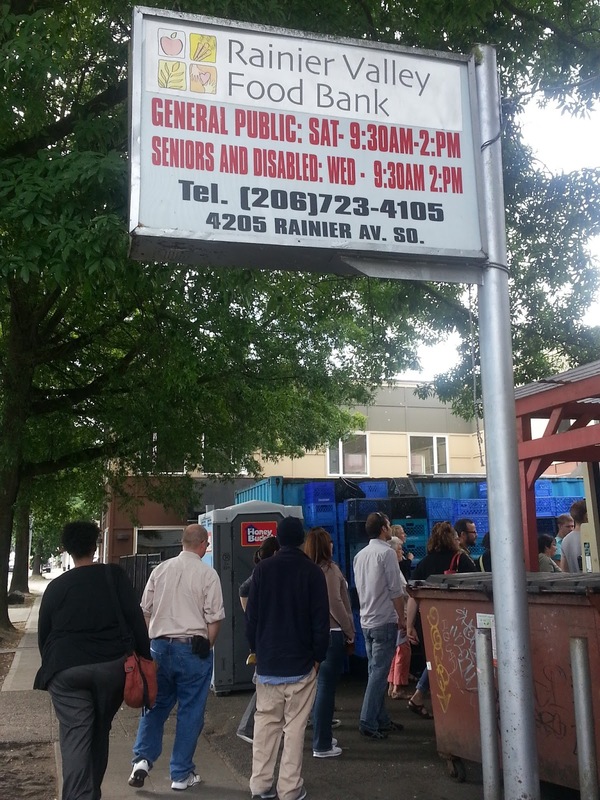 The University District Food Bank is open Monday through Friday for a total of 25 hours, with two sets of evening hours for clients. The food bank was started 30 years ago and has operated out of the same space for all of that time. Space for the food bank, in particular perishable space, has proven to be one of its most challenging elements. 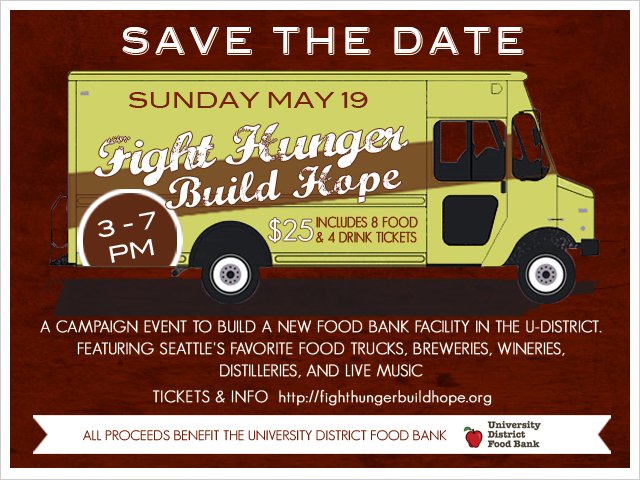 In fact, the food bank is currently undergoing a capital campaign for a new location. The new location will have the food bank on the first floor, low-incoming housing on the top floors, and a roof-top community garden. The University District Food Bank runs an impressive operation. With 85-100 volunteers per week, three full-time staff, and two part-time staff, the food bank serves over 4,000 households each month, has a home delivery program that serves approximately 30 people, and delivers food for 175 children a week to four Seattle schools. The food bank operates under a grocery shopping model, which allows guests to walk around with carts and select the items they want (with quantity of items decided by family size). This specialized approach to food banking allows clients to feel more like customers than clients at a food bank. Leilani Williams, Community Service Specialist at the Salvation Army on Pike Street, describes how they add a little spice to the lives of their food bank clients. We have been making and distributing our own spice blends for the last couple months, with rave reviews! It’s exciting to tell clients the amazing things they can do with the curry blend, a few potatoes, an onion, and a couple carrots - accompany this with a pot of brown rice and you’ve got an amazing healthy meal made entirely with food bank ingredients! We know the most expensive aisle in the grocery store is the spice aisle, and that many clients have to forego adding a little spice to their meals, relying too much on salt. So we use the power of buying in bulk and make an assortment of spice blends: Italian, Curry and Mexican, all salt free, as well as a Vegetable spice blend that does contain some salt. We have plans to add more spice blends from around the globe and to showcase a blend weekly via a crock pot of beans or lentils - knowing once we add smell to the equation even those people who are a little apprehensive about the spices won’t be able to resist. It’s been great for starting conversations about food with our clients, they love to tell us their favorite ways to use the blends and ask us for recipes. In a time of overly processed artificially flavored foods we are so excited to be able to make eating whole healthy foods exciting for our clients with such a small and powerful addition to our food bank!